Natures Sway have recently released a newly designed multi-way pouch pack, and have generously donated one to our sling library! The older style Pouch Packs we have had in our library have been well loved over the years, for their soft, non-bulky, easy fit, and I was curious to see how this new one would compare. Read on for information about the carrier and my thoughts on it! The new design can be worn on the front in an inwards or outwards position, on the hip, and on the back. It has a weight limit of 15kg, so it will last from newborn into early toddlerhood. First impressions: Out of the box it’s not as soft as our old Pouch Pack, however, our old Pouch Packs are well loved, and have softened up a lot over the past few years to the point that they’re almost too soft. I am sure with a wash and some wearing these will start to soften too but may avoid the over-softening. Second thing of note, no personal fit adjustors.. The Pouch Pack we have in our library is the old design, before the pfa’s were removed from the design, and a big part of me had hoped that they would have been put back on for the new multi-way pack as I find these such a useful feature in a buckle carrier and it’s a pity they’re no longer there. “Facing forward option only for babies who have good neck control, weigh at least 5.5kg and are 4 months or older.” I am trialling this carrier with an 8kg 7 month old. The design of the back panel has changed slightly from the original pouch pack. As well as the added gusset zip at the bottom, the zipped extension on the back has shifted higher up and can now be either unzipped completely to extend the panel for a taller child, or it can be unzipped from both ends to allow the child’s arms more movement in a forward facing carry. Another clever feature of this design! I forgot to do this while we were taking photo’s and didn’t realise until afterwards, whoops, sorry babe! We did comment at the time that the arms looked a bit awkward..
One of the design features that I have disliked about the Pouch Pack is the back strap, and unfortunately this aspect of the design has stayed the same. I find it moves up and down too easily, so reaching it to clip it up and tighten is tricky as it slips down. The instructions do show the clip being done up in front and then lifted over the head, so this issue of mine could well just be my that my technique needs to change for this carrier. One thing I do appreciate is that Natures Sway have a good set of clear, easy to follow, step by step photo instructions that come with their carriers. They show all the carries, and how to put the carrier and child on, and off. Other features of this carrier: A drool pad! The carrier comes with a drool pad for forward facing carriers. It snaps on/off and will save the top of the carrier from being totally munched. When being used in an inwards/back carry you can still use this drool pad, or you can switch it out for the hood. I also love the attention to the fabric detail – when you zip open the extension panel the fabric continues, and matches, so it doesn’t look ‘split apart’. As the design has been updated the inwards carry has been made easier with a more fitted seat to easily get a deep ‘M’ position with the bottom sitting lower than the knees. The two-way adjustability on the straps allows for more precise tightening when carrying a smaller baby. It was at this point that I realised that the new design is missing the handy pocket from the waistband! I hope that this is just a prototype testing phase and will be added back on for future models! One thing you notice immediately is that the padding on the Natures Sway Pouch packs is a lot thinner than what you will find on a tula/ergo/beco/manduca etc (Pics show the black Natures Sway PP and the grey Tula). But – when you’re wearing, comfort isn’t at all compromised. The wool padding in the Pouch pack doesn’t compress like the foam padding in the other brands so provides the same comfort on both shoulder, and hips. The waistband is a lot thinner, but the design is slightly wider, and contoured, so it fits differently to a tula/ergo. It moulded nicely around my hips and waist and it felt more comfortable than a thicker waistband that I tend to find diggy when done up tight. I like that this carrier doesn’t feel bulky when worn, it also rolls/folds down smaller to make it easier to pop in your bag. 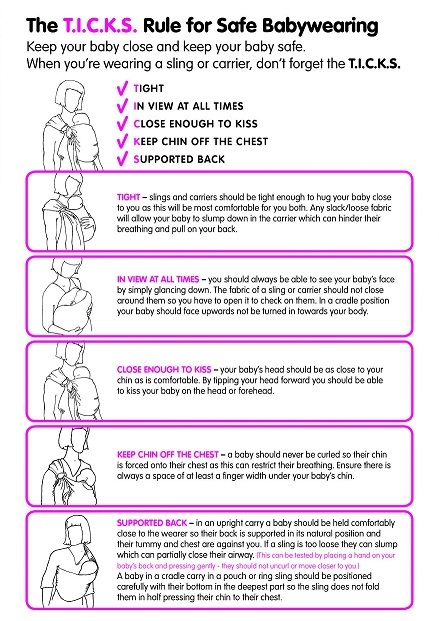 As well as my trial with a 7 month old, I also tried this with my baby when she was 4 weeks old, unfortunately it was a brief in and out and I didn’t get photos but it was enough for me to get a feel for it. Natures Sway recommend rolling up a small towel and placing under babies bottom to raise them up higher in the carrier and to stop their legs being completely squished. My girl has a very strong plantar reflex and constantly tried to stand up which was a bit of a problem – but she fit quite nicely when she wasn’t trying to stand. Trying her again at 11 weeks she’s not quite big enough to have her legs out and still keeps trying to stand up. So, overall, I think this is a great product, there’s some features that would make me love it a bit more, but as it is it is easy to use, comfy and I love that it is NZ made too! 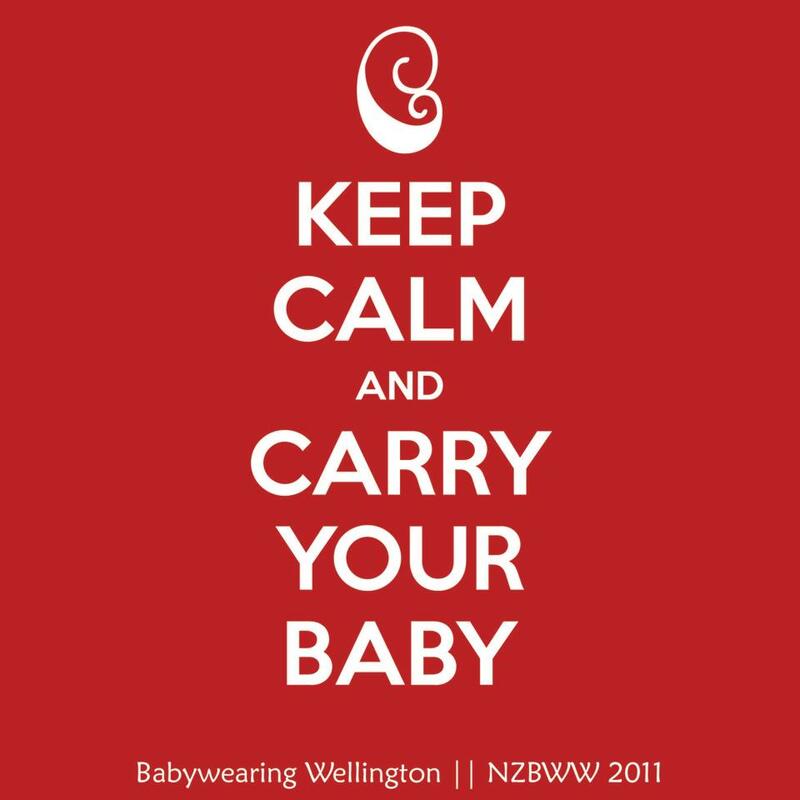 Tags: babywearing, Babywearing Wellington, buckle carrier, forward facing, Library, Natures Sway, review, soft structured carrier, ssc. Bookmark the permalink. I had hoped you would try it with your tiny baby; the website suggests they are sutable from birth, with baby’s legs tucked inside. This sounds odd to me, but I wondered if the design somehow accomodated this? Just curious.